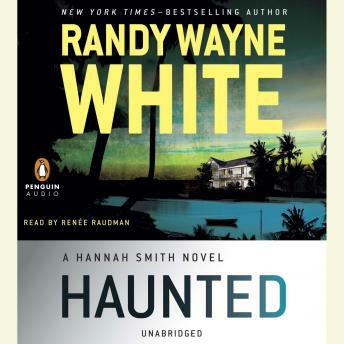 Hannah Smith returns in the stunning new adventure in the New York Times–bestselling series from the author of the Doc Ford novels. The house is historic, some say haunted. It is also slated to be razed and replaced by condos, unless Hannah Smith can do something about it. She’s been hired by a wealthy Palm Beach widow to prove that the house’s seller didn’t disclose everything he knew about the place when he unloaded it, including its role in a bloody Civil War skirmish (in which two of Hannah’s own distant relations had had a part), and the suicides—or were they murders?—of two previous owners. Hannah sees it as a win-win opportunity: She can stop the condo project while tracking her family history. She doesn’t believe in ghosts, anyway. But some things are more dangerous than ghosts. Among them, as she will learn, perhaps fatally, is human obsession. As a rule, men should not try to write from the point of view of a woman. I have never seen it work. Hannah Smith is a case in point. I love the Doc Ford books. I gave Haunted two stars because I was able to finish listening to the entire thing. But it pissed me off every day.